Sign Up for Term 2 of 2019 Here. 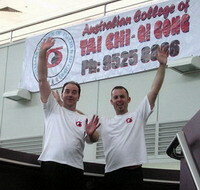 The Australian College of Tai Chi and Qi Gong has been operating in the Sutherland Shire since 1996. As of 1st January 2018, it has been operating as a Sports Association with slightly different procedures. The 4 additional committee members are: Andrew Rowlatt, Joyce Newbigging, Ken Dickenson and Martin Shipley. Annual membership fee of $10, due once per calendar year for everyone. New students who did not enroll in Term 1 will still need to pay this fee, as registration covers insurance for both teachers and students. Annual Saturday Practice fee of $50, due once per calendar year for students attending group practice on one or more Saturdays in a calendar year. Class attendance fees, charged per term. Note: the next classes open to beginners start the week of 29-Apr-2019. 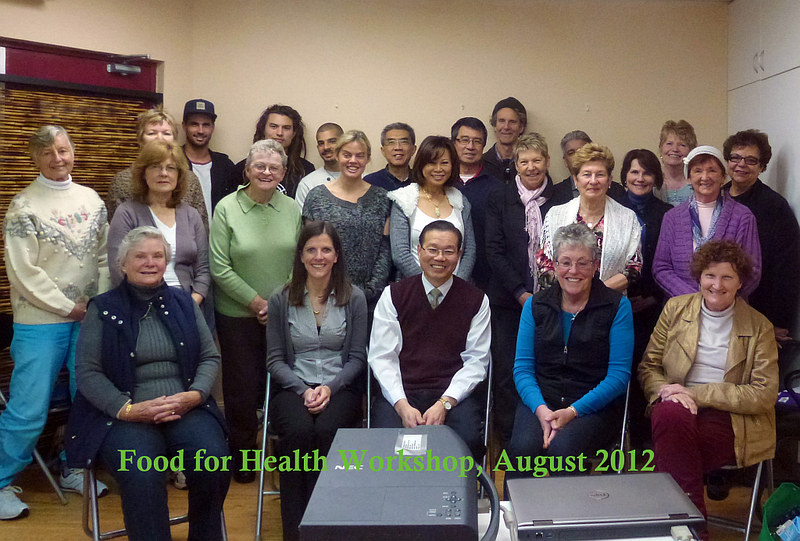 In August 2012, the college presented a Food for Health Workshop. This workshop was well attended and very successful. Those who attended learned a great deal about how to use food and water for optimal health, and how to balance inner and external resources. Understanding the resources that improve health is only the beginning. The next and most important step is practice. Now is the time to take action and practise by yourself. Combining the correct foods, quality water and oxygen (as discussed in the workshop) as outside resources with daily Qi Gong and Tai Chi will greatly improve and sustain your level of health. Congratulations to Ken Dickenson and Kevin Bartolo on their successful Guinness World Record attempt! The pair managed to beat the previously held record of 24 hours by one hour on Saturday 18th of March 2006 at Sutherland Hospital. Over $3500.00 was raised for the hospital's heart and lung rehabilitation centre through raffles and sponsors. Many thanks to everyone who kindly gave their time and support.